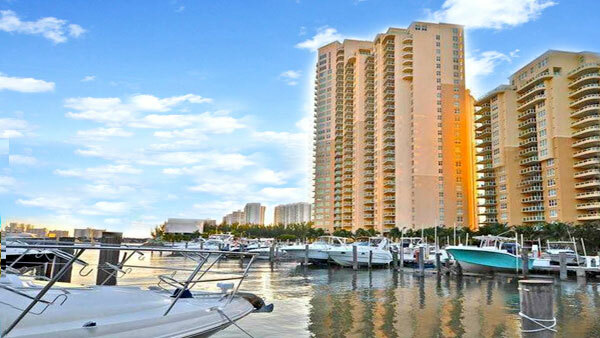 Units Sizes: 1,440 to 1,750 Sq.Ft..
Aventura Marina Condominium, twin residential towers located at 3330 NE 190th St & 3340 NE 190th St, Aventura Fl, on the Dumfounding Bayside. Breathtaking direct Ocean, Intracostal, and Sunny Isles Skyview from the moment you enter to your residence. Spacious open floor plans with one, two, three and four bedrooms from 800 Sq.Ft. to 3,320 Sq.Ft. Apartments with a breakfast nook, gourmet kitchen with granite counter tops, stain steel appliances, floor to ceiling glass windows, formal dining room, dual sinks in the master bathroom. Three uniquely residential towers, comprised of 370 units with 20, 30 and 37 floors that share five-star luxury amenities like two heated pool by the bay, sauna, bike storage, a lobby, two-story Spa, state-of-the-art-health center, 24-hours security service, four tennis court, valet service, worldwide concierge, private storage room, assigned covered parking space. For your privacy, each tower at Aventura Marina I Condos offers its own elevator, that opens to only two and three condominiums, then, you walk to a double door that opens into your private foyer entry. Penthouses at Aventura Marina II are really “Palace in the Sky”, two-story Suites with a spectacular rooftop terrace with 360 degrees of unbelievable views, marble floors, walking closets. Aventura Marina and Hidden Bay share the marina for boats and Jetski as well. 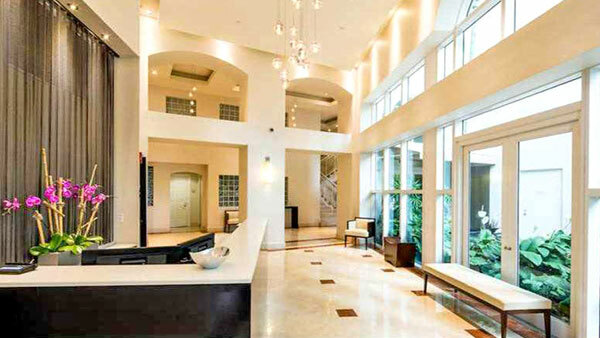 Aventura Marina I and II buildings are a guard gated community next to Hidden Bay and Founders Park, walking distance to Aventura Mall, Soffer Exercise Trail around Turnberry Isles Golf Course, houses of worship, Aventura City of Excellence School, restaurants and to Sunny Isles Beach. Whether you are looking to buy or sell your primary residence, second home or investment property, I can help you achieve your ultimate objectives. Over the years I have provided first class service to all my clients, whether they are buying a small apartment or a palatial residence, I have the market knowledge, I’m very responsive, and I am always ready to help you. Please call me today at 305-281-8653 or email me at ghrealtor18@gmail.com, it will be an honor to help you find your next home in South Florida.